Electric Lightby By Seamus HeaneyFarrar, Straus, & Giroux. 98p $20. 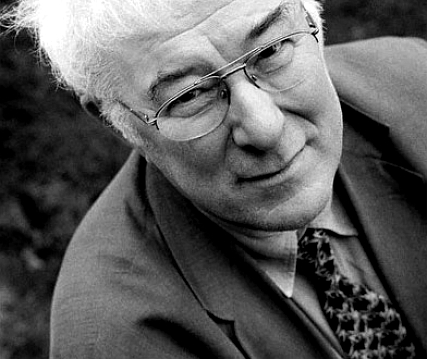 Because Seamus Heaney and I are of an age, and because he has been my secret talisman and guide now for over 30 years, he an Irish Catholic from Derry, I a mongrel Catholic from New York, every book he has published since his first, Death of a Naturalist, has been an event for me. The question I keep asking myself is how he has done it and continues to do it. Each new book offers new surprises, and these take time to digest and absorb. Surprises in terms of language, in terms of metaphor, in terms of new gains in poetic consciousness. Electric Light is no exception. Three books of critical prose, a play and thishis 17th book of poetry (if you include his two Selected Poems and his masterful translation of Beowulf). It’s a Janus-faced book, elegiac, heartbreaking even, like Heaney’s friend and predecessor, Robert Lowell, in his posthumous Day by Day, published in his 61st year. Here’s Heaney, the world-trotting poet among his fellow poetsRafael Alberti, Caj Westerburg, Hans Magnus Enzenburger at the Struga Poetry Festival in Macedonia in 1978; here too that Harvard Nestor, Robert Fitzgerald, as well as two of his poet-friends, both ghosts now: the Russian expatriate and fellow Noble Laureate, Joseph Brodsky, and Zbigniew Herbert. Body of his uncle by cattle-ferry. It’s that which Heaney does so consummately well, this man of the people, who has never forgotten his roots (bless him), a man who has had to negotiate the paths of the King’s own English, the Siren call of the dominant American idiom and all that that idiom steamrolls under with it, as well as his allegiance to his own Irish language and customs, even as he has become a citizen of the wide world beyond Derry. Neck and shoulders still a schoolboy’s. How brilliant of Heaney to have come back at the very end to his beginnings once more, to new life, a new generation, but also to reflect on his parents gone, so many of his classmates gone, his poet-friends gone. At 60 the elegiac befits us, and befriends us too. He is one of the handful writing today who has mastered that form as well. This article also appeared in print, under the headline "The Mother Tongue," in the April 23, 2001 issue. Paul Mariani is Americas poetry editor.